Instant Bingo, which includes four types of Bingo games, is one of the categories in the Specialty Games section of online casinos. European Bingo, or 90-Ball Instant Bingo, is a very popular game found in this category. As is clear from the name of the game, 90-Ball Bingo is played with 90 balls and is very popular with European players. European Bingo includes a bingo card which has 15 random numbers in three rows of 9 numbers, ranging from 1-90. There are three ways to win, which are described in the payout table. Players can buy up to 100 cards to play with. The balls, numbered from 1-90, are randomly chosen and called out by the caller. You can choose how many balls will be drawn, 45, 55, or 65. The fewer balls a player chooses to be drawn the higher the risk and the higher the payout. If the number called out is on the player’s card, it gets covered. The payout table includes three ways to win at European Bingo. First, you can fill one full row in stage one. Second, you can fill two entire rows in stage two. Finally, in stage three you can get a full house by filling your entire three row card. European Bingo is available on online casinos powered by Rival Gaming software, including the highly recommended Spartan Slots Casino. This casino is well-known for its professionalism and customer support capabilities, which makes it a great choice for playing. 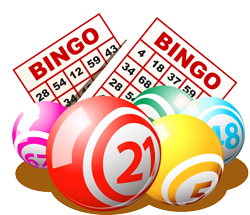 The Bingo games that they offer have outstanding graphics and are very easy to download and to use. Rival Gaming software gives players a top of the line casino experience with clear graphics and high-end technology. There are tons of games to choose from of all types, including classic slots and table games as well as specialty games. Providing a safe and secure environment, players can feel comfortable knowing that Rival is fully committed to the players’ satisfaction and to giving a player the best online casino experience possible. Players can start playing almost immediately as the software is very easy to download and to use. There are also lots of banking methods for easy deposits and for the player’s safety.